The Diocesan Safeguarding Policy, Procedures and Practice Guidance came into effect on 1st October 2016. Following national high profile cases the Church of England acknowledged the need to ensure protection of children and vulnerable adults and the Government expectation on Faith groups to show they have robust and effective arrangements to deal with safeguarding issues within their respective organisations. The national safeguarding team has produced a range of policy documents and procedures to assist Dioceses and there has been an increase in resources for safeguarding and training in the Diocese. Parishes are at different stages of implementation but the expectation is one of full compliance. The Diocesan Safeguarding Team, led by Julian Hodgson, continues to support parishes and Parish safeguarding links to work with the new procedures. The Diocesan safeguarding procedures are extremely comprehensive and are available on the Diocesan Website. Safeguarding guidance is also available from the Central Council of Church Bellringers. The Diocesan Safeguarding Adviser and his team conduct casework regarding allegations and concerns relating to children, young people and vulnerable adults across the Diocese. Where the concerns relate to ringers who are known to pose a risk information is shared with the Diocesan Association Safeguarding Officer and relevant tower captain. For obvious reasons this is done on a need to know basis. Where a risk is identified the person may be permitted to ring but only with a plan of careful management, supervision and review. These discussions and decisions take place in conjunction with partner agencies like the police and social care. The Incumbent and churchwardens have primary responsibility to maintain a safe environment for all people in the tower and elsewhere on Church premises and have ultimate sanction on allowing access to the tower. However, in practice, responsibility for maintaining a safe environment for ringers lies with Tower Captains, Association Officers and those who teach others to ring, hence the importance of DBS checks and training. The responsibility for safeguarding is a shared one and we all have a part to play. What does this mean for ringers in Derbyshire? Discussions continue with the Safeguarding Team concerning implementation of the procedures, training availability and content and, where necessary, regarding individual cases. Our challenge has been to ensure compliance with safeguarding procedures whilst ensuring that the very positive elements of bellringing are maintained – openness, welcoming visitors and inclusivity. Ringers do not stay in their own tower – if they have one – but as we know they are sociable, mobile and enjoy ringing at many different towers. It is important to acknowledge that safeguarding and ensuring good practice has been and continues to be a part of our ringing culture and experience in the Diocese. However, it is important to understand and make explicit what is expected of us. All Tower Captains, their Deputy/Assistant and bellringing teachers / trainers must undertake Diocesan Safeguarding Training, and that training must be refreshed every 3 years. They must have DBS checks, regardless of whether minors and / or vulnerable adults are present at the tower. 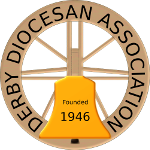 Those responsible for running Association events – District ringing masters should have DBS checks and receive the training. Anyone directly helping with teaching minors and vulnerable adults has to be DBS checked. For towers where minors and / or vulnerable adults are present, at least two DBS checked adults should be present. Ideally, any tower should have three or four DBS checked ringers so that it’s likely that two are present at any ringing. DBS checks are on ‘an enhanced disclosure plus barred list’ basis. Renewal can now be done on line through the Diocesan office. Flowchart – ‘What to do if you have safeguarding concerns’- should be displayed in all towers with relevant telephone numbers available. Adherence to the procedures is required irrespective of whether access is via stairs to the ringing room or if there is a ground floor access. Legally, the ringing room is deemed to be a private space, not a public space. We are asked to keep records of attendance for all ringing activities. Training – Currently, ringers are expected to attend the Diocesan training courses. At present the training is delivered to mixed groups and will not be designed specifically for ringers. The reason given for this by the Cof E is that training should be delivered to multi disciplinary groups. Further discussion is needed about this. Teaching – It is important that parents of young people learning to ring fully understand the nature of ringing. They should be given an explanatory leaflet and sign a consent form. Visiting groups are responsible for safeguarding within their group. They should be made aware of the DDA safeguarding policy. Risk assessments are church specific. No one size fits all. It is not realistic to think that ringers will know when someone poses a risk unless told that is the case. We are not expected to confront people – that could be quite dangerous – or undertake investigations, but if worried we are expected to discuss our concerns with the safeguarding team. Awareness of the risks, understanding how someone might use ringing activities to target children and vulnerable adult. Sharing responsibility for ensuring safety in ringing activities. Being prepared to act on concerns and reporting concerns in a timely way. Rev. Clive Thrower and myself have held meetings with Julian and his team and we have raised ringers concerns and issues. We are soon to meet him again.The issue of long waits for training may be resolved once the new person is appointed in September. Audit – I was invited to take part in a focus group for the SCIE inspection in June. I was able to speak about some of the issues concerning ringers. I understand the audit report will be published this September and will be on the Diocesan website. Flowchart – ‘What to do if you have safeguarding concerns‘. This is adapted from the Diocesan flowchart, with the suggestion that you liaise with the DDA Safeguarding Officer should you have an issue with a ringer from another tower. You should be able to enter your own details before printing with most common PDF viewers. Tower Attendance Registers – advice on what to record and when. DBS and Safeguarding Training – with respect to Bell Ringing. A new member of the team to be appointed in September 2017, who will be a part time Assistant Diocesan Safeguarding Adviser with a focus on training. I am happy to hear from you how the implementation is progressing –good practice and difficulties. This remains very much a work in progress and I am grateful for all the help and advice received.